I remember at the age of around seven years old, my father forced to me learn an instrument. Now I say forced, but in his loving way, he convinced me to pick it up for the first time…but I would have to say he forced me to practice that instrument. Before I could become a musician I had to become familiar with the instrument I was to play. I can still recall picking up that cold metallic brass cornet for the first time. It felt foreign in my hands. This instrument, similar to those that I had heard great musicians play was now placed in my hands, and I had no idea how to play it. The first thing I had to do in order to play it was to become familiar with how it felt in my hands. I had to learn how to place my fingers over the valves in the proper manner, while sitting with correct posture, which I had a great deal of trouble learning. These were things I had never considered to be important much less required of me in order play a musical instrument properly. The orientation of the instrument is of the utmost importance for proper implementation for performing music. If we are to become oriented with the music that God has placed in our very souls, we have to become oriented with the very God who created that music in the first place. But it doesn’t stop with knowing this creator God; it then becomes all important to know how God has made us. Our personalities, our temperament, our peculiarities are all vital to the orientation process. If our desire is to fool ourselves or convince ourselves of something that is not true then we will never learn the true music of our souls. In Romans 12:3, Paul reminds us of how important it is to have a sober judgment of ourselves. In other words, look carefully in the mirror, be honest with yourself. If we ever want to grow up in our faith, then true maturity begins with becoming familiar with who we are – faults and all. Only when we begin to take a long hard look at who we are now, will we then begin to see who God wants us to be. God has a whole different melody for us to play; it’s a new environment to explore and to learn, and if we never learn to understand who we are and who God has intended us to be, then we will never learn to play the music of our souls. Turning over that cold brass instrument in my hands so many years ago…I have a confession to make, I never thought I would ever be able to learn to play it. The task seemed too daunting, my perception of myself – too limited, and if I had refused to become familiar I would have never learned to play the music. Many of us are like this; too limited. Perhaps we never had someone to cheer us on or encourage us. Maybe, our self-confidence is so small that even imagining God wanting us to play the music for Him seems too good to be true. Some of us even think our abilities and our gifts will never amount to much, or are so insignificant that God won’t even notice if we don’t play. But the fact of the matter is, God will notice, He DOES want you to play the music and He has been there from the beginning encouraging you to pick up your instrument of gifts and get oriented. This experience requires faith, faith in our performance, faith in the music we’ve been created to play, and faith in the conductor (God) that He knows what He’s doing. This, above all else, either propels us into the ultimate performance of our lives with faith in hand; or causes us, through doubt and fear to create sounds and noises that in no way reflects true music at all. 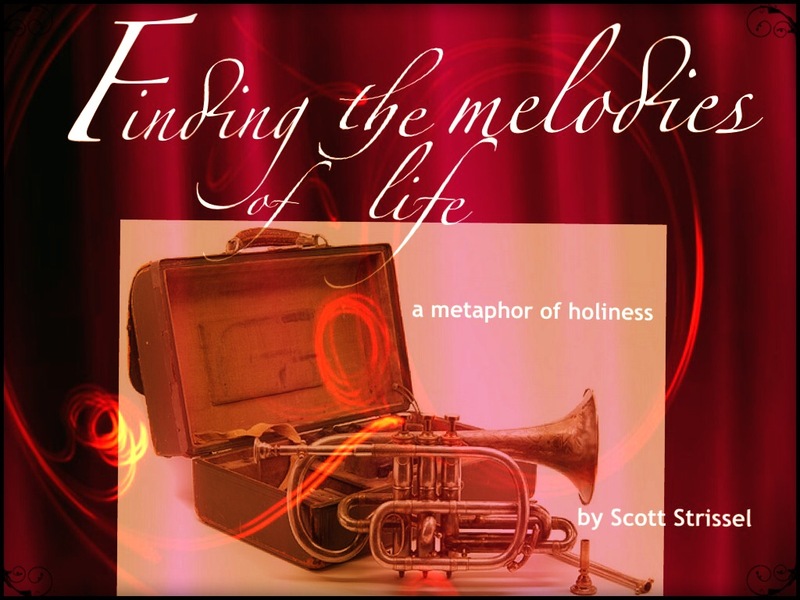 God’s purpose for all of us is to be joined together, fitting perfectly into his symphonic masterpiece and once we are oriented and understand His will for our lives, we can begin to play, but first we have to know what we’re playing. Orientation begins with the instrument…and it begins with you. If music is to be played at all, an instrument has to be selected. God has given us so much by way of gifts, abilities and talents, but if we don’t explore them we will never be able to master them. Exploration into the instrument is vital. If I had, on that instrument orientation day, picked up my brand new cornet and tried to play it from the wrong end it would have looked rather foolish or even downright embarrassing. I had to first explore, touch, feel, hold and finally position the instrument properly in my hands. When I understood how the instrument was to be held, how each valve coincided with the fingertips on my right hand and finally how my left hand was to hold the instrument firmly for balance and posture, then I was ready to move on to actually putting the cornet to my lips. Our orientation with God and what He has done for us is the most pivotal moment in our lives. It can become the turning point, or the moment of clarity in which we decide that God, the great conductor, has a composition of complex melodies and harmonies waiting for us to play, if only we become oriented with what He has given us. King David knew and was familiar with the ways of God. He also recognized and acknowledged the way that God had made him: “Fearfully and wonderfully”. When we become familiar or know them “full well”, as David states, we too then have begun our orientation of the part we are to play in this symphonic life. So don’t hold back, take a long hard look at yourself in the mirror. Recognize who you are, and who God desires you to become. It can sometimes be painful when we see our glaring failures along the way, but these pains are necessary even vital to our growth. It’s orientation time…take a look, I dare you.